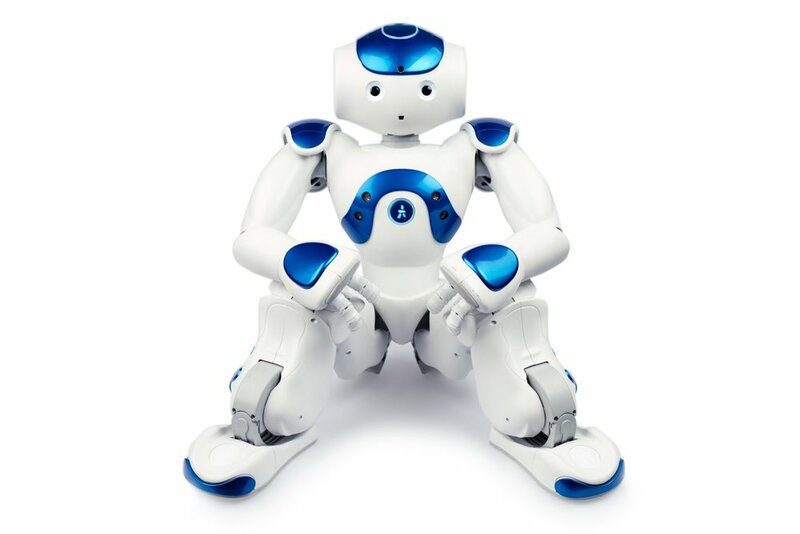 Nao, pronounced "now" is 58 cm in height, and is an autonomous, programmable humanoid robot and was first released in 2008. Whilst it is currently in its 5th version, about 9,000 NAOs have already been sold throughout the world. It is one of the most advanced humanoid robots ever created. He is fully programmable, open and autonomous. The Nao robot is controlled by a specialised Linux-based operating system, called NAOqi. The OS powers the robot's multimedia system, which includes four microphones (for voice recognition and sound localization), two speakers (for multilingual text-to-speech synthesis) and two HD cameras (for computer vision, including facial and shape recognition). The robot also comes with a software suite that includes a graphical programming tool dubbed Choregraphe, a simulation software package and a software developer's kit. 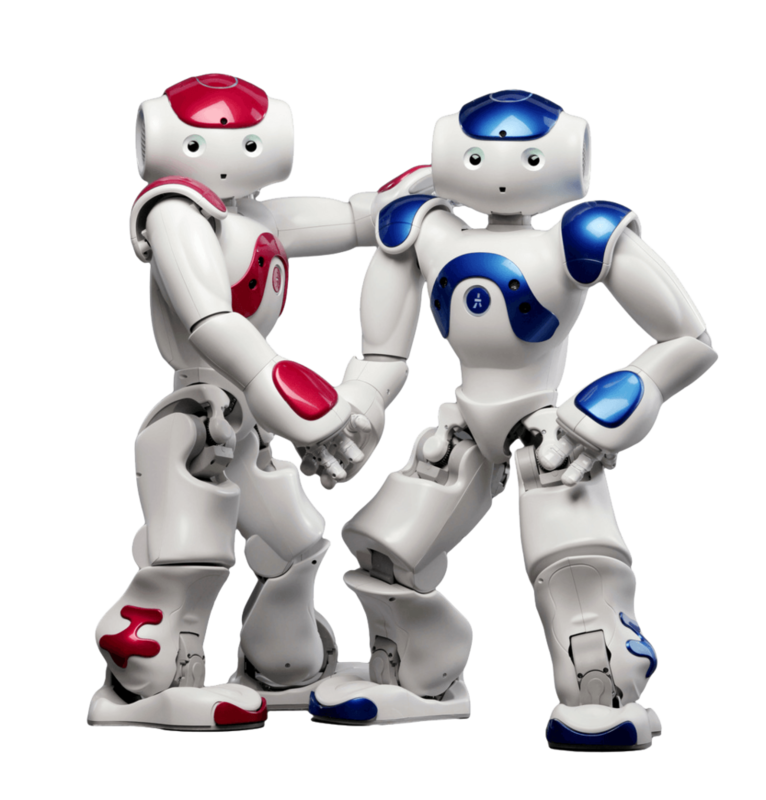 Nao is furthermore compatible with the Microsoft Robotics Studio, Cyberbotics Webots, and the Gostai URBI Studio. 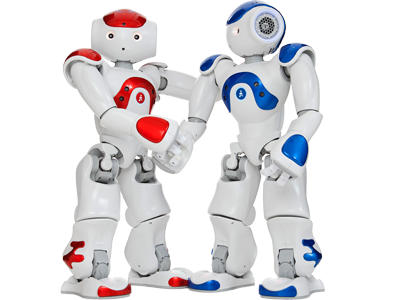 NAO is the leading humanoid robot being used in research and education worldwide. It is equipped with many sensors: Tactile Sensors, Ultrasonic sensors, A Gyro, An Accelerometer, Force Sensors, Infrared sensors, 2 HD Cameras, 4 Microphones and high accuracy digital encoders on each joint. It has two processors on board: an Intel Atom 1.6Ghz (The main computer includes SSD drive, WiFi, Bluetooth and wired network) and an additional ARM-9 processor in its chest. The advanced software package includes a full SDK and API in Java, C++, C# (.Net), Matlab, and Python. Every robot comes standard with Choregraphe, an award winning software that makes it easy to program the robot using a drag and drop interface which simplifies the programming for new and advanced users alike. The software package includes an advanced simulation software based on Webots. NAO is a totally endearing, interactive and personalizable robot companion built with 7 seven senses for natural interaction. Thinking : We can't really talk about "Artificial Intelligence" with NAO, but the robots are already able to reproduce human behaviour. NAO is designed to be personalised and will not grow on his own! Our "fleet" of Naos for hire have been used for a variety of different events - trade shows, exhibitions, product launches, robot workshops and even movies!